The Friends of Korus Foundation, Inc. and Ambassador Alfonso Yuchenco present the University of the Philippines Concert Chorus, fresh from its 19th International Concert Tour of the USA, Italy and Germany, in "Muling Dating, a Homecoming Concert" on July 30, 2010, 7:30 P.M. at the Philamlife Auditorium, U.N. Avenue, Manila. Tickets are PhP 200 each. Seniors citizens and students receive a 20% discount, and groups of ten receive a 25% discount. For ticket reservations and inquiries, please contact 09164453560, 09396767989 or 09228580608. 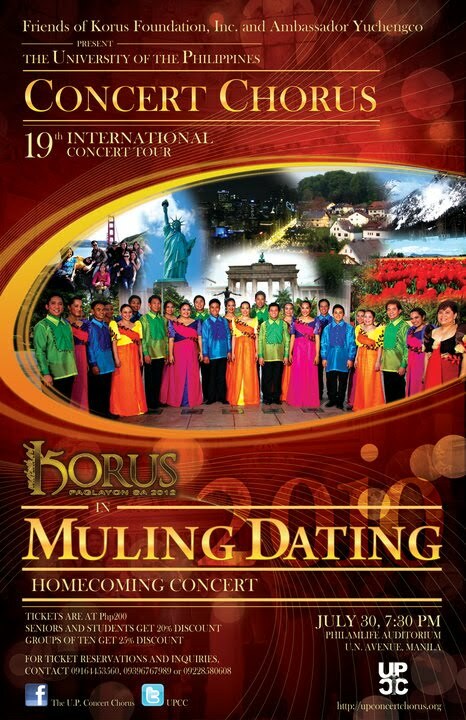 A concert tradition after every International Tour of the University of the Philippines Concert Chorus (UPCC), the "Muling Dating", or Homecoming is a way to showcase a choir at its best. 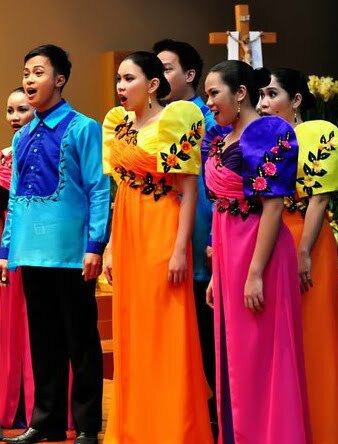 You see, while on tour, singing together everyday for 2, 3 or 6 months, there becomes an unmatched unity in a choir - such that you've almost memorized how each other breathes, how long she can hold her high C, or how loud his Fortissimo can be. Similarly for the choral conductor, there is now an ultimate togetherness with the choir, they understand his every nuance, or every wave of her hand.